The landscape of media-based worker cooperatives in Asia Pacific is both varied and unique. In the Philippines, a group of young people have set up the first artists cooperative called the Red Root Multipurpose Cooperative. They proclaim their support for and inspiration from the cooperative principles and aim to provide quality-based services like innovative design, audio-visual communication and marketing strategy development. The cooperative prides itself in being as cutting-edge and thoroughly professional as any regular business enterprise in their field; but they go beyond being just service-providers, to also taking care of their members and collaborating on projects for the overall success of the cooperative. The founding members of Red Root have also been enthusiastic mentors and speakers at Youth advocacy events organized by ICA Asia and Pacific (ICA-AP), espousing the need for young people to be self-employed and develop a collectives-based work ethic. Print-media cooperatives can be found in Japan where we have prominent examples like the Japan Agricultural News, an ICA-AP member, who have established themselves as reliable sources of information for the agricultural sector in the country for the past 85 years! Overall the cooperative aspires to be the ‘linchpin in strengthening ties among all the cooperative organizations.’ With the largest circulation in the agricultural newspaper market, Japan Agricultural News aims to help co-operatives, governments and other relevant bodies combat issues of food security, climate change etc. through its deep-reaching journalism. Associated Press is an oft quoted example of a cooperative based news agency in the US. 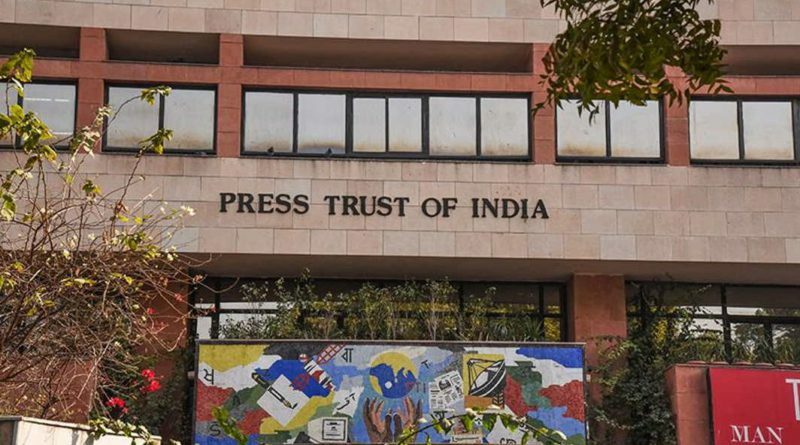 India too has a cooperative modeled news agency called the Press Trust of India, which controls majority of the news agency market in the country! With such inspiring examples coming out from the world of media-based worker cooperatives in Asia and Pacific, there is still scope and potential for this movement to kick-off, as many of the examples are from the pre-globalization era. With the abundance of talent more such cooperatives need to be established in various media streams, motivated from successful cases of individuals rallying together to converge their talents, interests, ideas and goals, for mutual enterprise and cooperation. What about the cinema industry? If one were to turn back the pages of history one comes across fascinating examples like the Chitralekha cooperative society set up by eminent film-maker Adoor Gopalakrishnan and his colleagues from the Film and Television Institute of India in the 1960s. The cooperative society was the first of its kind to be set-up in India for producing, distributing and exhibiting world-class cinema. During its peak years it also cultivated rich film-based literature, widely popular film-appreciation courses in universities, and mentored film societies across the country. India is also home to artists’ collectives such as the Cholamandal Artists’ Village, which was established in 1966, and is credited as being the largest artisanal group in India. It runs the Artists Handicrafts Association, a cooperative which manages the exhibition of art-work, provides space for artistic performances and makes the Village self-sufficient. Other interesting examples include artist c0operatives like Space, in Baroda, that provides residential and work space for struggling artists, and the Tribal Women’s Artist Cooperative, in Jharkhand empowering women to propagate their traditional art-work and using their art-work as advocacy tools against appropriation of their resources by big corporates. Moving over to Oceania, we have a group of 70 film-makers in Australia who have come together to join a cooperative that was initiated by writer-director Heath Davis. Titled Cinegar Bar, the genesis of this cooperative lies in the current scenario of an industry where one set of professionals working on a particular film project, do not engage with another set of professionals from the same industry; making the entire process isolating and limiting. The cooperative hopes to bring together professionals with different expertise who can collaborate, critically evaluate each other’s work, and change the eco-system to one which is more synergistic. As Davis simple puts it; the cooperative is striving to place the ‘film before the film-maker.’ In New Zealand, photographer and film-maker, Geoff Steven, founded the film-maker’s cooperative, Alternative Cinema, in early 1970s that empowered several people to tell their stories through films and also showcased films made by other similar cooperatives in Australia and New Zealand.